Whether you own or lease a vehicle, getting your oil changed regularly is important. While most drivers know that, they don’t always know how often the oil should be changed or even the best place to get it done. Get answers to these questions from the team at Honda of Toms River, serving drivers throughout Lakewood and Manchester at our dealership in Toms River, NJ. Getting your oil changed is absolutely essential to maintaining a healthy, functioning automobile. Oil is the lubricant that serves to minimize friction between the pistons and the rings that house them. If you don’t get your oil changed in time, the oil will get low or end up getting contaminated. 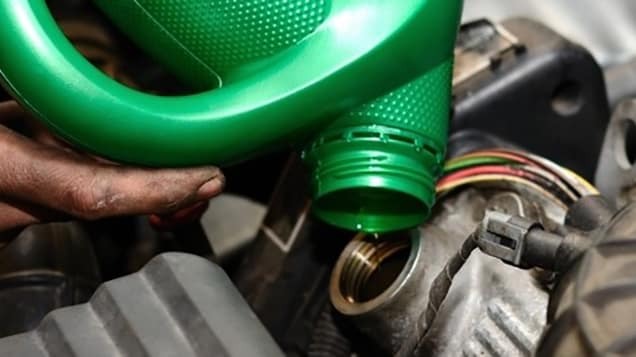 Low or contaminated oil can create increased friction, which reduces the performance and efficiency of your vehicle, causes the engine to overheat, and puts you at risk of completely totaling your engine. Most engines should have their oil changed every 5,000 miles or every few months, but you should check the owner’s manual for your car for specific guidelines. Why Schedule Your Oil Change at Honda of Toms River? Certified Technicians – The skilled technicians at Honda of Toms River that perform oil changes in our service center have been factory trained and certified, ensuring that your vehicle gets the treatment it deserves! Complimentary Services – When you bring your vehicle in for service at Honda of Toms River, you’ll always be treated right. We’re proud to offer our guests free Wi-Fi and computers, as well as complimentary shuttle and pick-up should your vehicle need any extra service. Catching Problems Early – You’ll also get a free multi-point inspection, car wash, and even an engine light scan to catch any potential problems before they turn into bigger issues. Express Oil Change – Your time is valuable, so we’ll get you in and out as quickly as possible with an express oil change! Oil Change Coupons – Save more on your next oil change by checking our current service specials for any deals going on now. Why wait? Schedule an oil change in Toms River today at our service center! Honda of Toms River is located less than 30 minutes east of Manchester at 346 New Jersey Route East in Toms River, NJ. Our technicians are here to handle all your oil changes, on top of any other maintenance and repair needs, Monday through Friday from 7:30 a.m. to 7:00 p.m. and Saturday until 5:00 p.m. Contact us with questions online or by phone at (844) 520-9001.